SIRENA RANGE: Named for her allure and magnetic attraction to both females and males this range displays eye catching Seductive designs that make these handbags the envy of women and for those women who posses them, the envy of men. All Handbags in the Sirena Range are embellished with solid silver emblems which are Hallmarked in the UK and are crafted in the UK by Wentworth Jewels The Sirena range conveys an understated message of “Men often dream of having a glamour hanging off their shoulders”. A Sirena Range bag makes this a reality for a woman”. Here begins the realization of the dream for both. 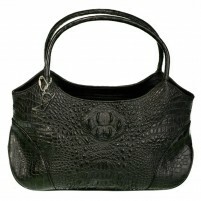 Such is the allure and effect of a Sirena Handbag.